Each new print copy includes Navigate 2 Advantage Access that unlocks a comprehensive and interactive eBook, student practice activities and assessments, a full suite of instructor resources, and learning analytics reporting tools. 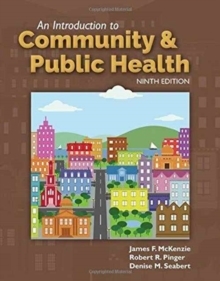 An Introduction to Community & Public Health, Ninth Edition provides learners with the latest trends and statistics in this evolving field. 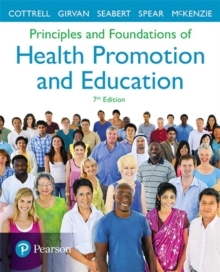 With an emphasis on developing the knowledge and skills necessary for a career in health education and health promotion, this best-selling introductory text covers such topics as epidemiology, community organizations, program planning, minority health, mental health, environmental health, drug use and abuse, safety, and occupational health. 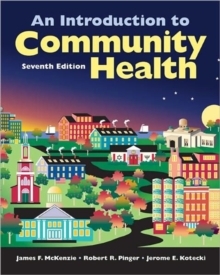 A robust pedagogy and enhanced digital learning component encourages students to understand and retain community health issues and better prepare for their future careers. NEW! - Includes new information about the impact of the Affordable Care Act on family planningNEW! - Provides the latest information on preconception health care and counseling which are relative new foci for pregnancy healthNEW! - Includes an updated discussion on vaccine safety and non-vaccination due to religious and philosophical exceptions which affect vulnerable populationNEW! 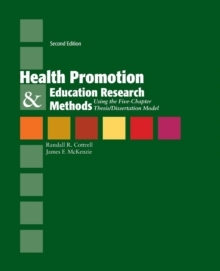 - Includes new information on the relationship of mental health to general health,NEW! - Incorporates the latest information on new law enforcement policies regarding how to handle people with mental health crisesEXPANDED! - Updated information on electronic or e-cigarettes, abuse of opioid pain relievers, and the move by some states to legalize the use of marijuana for medical or recreational usesEXPANDED! 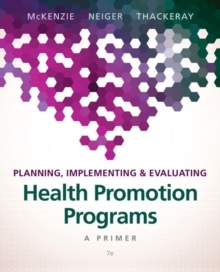 - The latest information on barriers to prenatal care and the importance of nutrition and vitamin supplementation during pregnancyEXPANDED & REVISED--Chapter 14 Community Health and the Environment has been thoroughly revised and updated. New information has been included about mold as an indoor pollutant, runoff and lead as water pollutants, complex disasters, the Zika virus, and emergency preparedness and response.